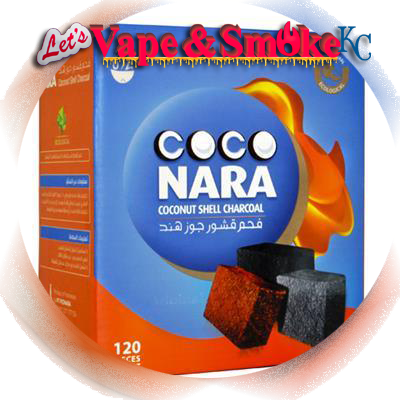 Coco Nara Coal is a customer favorite and the overall most popular brand of charcoals bought for smoking hookah. 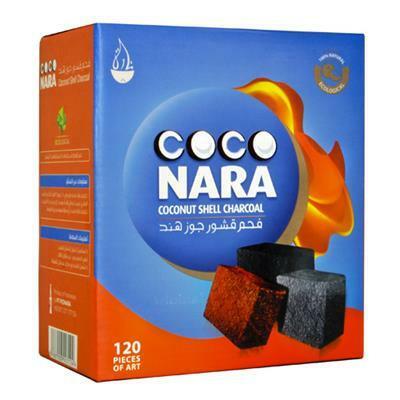 Coco nara makes the highest quality compressed conconut shell charcoal. This brand of charcoal is the choice of coals at high-end hookah lounges. There is no known brand that tops the quality of Coco Nara for getting your favorite shisha flavor flowing through your hookah pipe. Lets Vape & Smoke Shop KC is an authorized dealer of Coco Nara Coals and sell alot of these high quality coals. Also offer a local price match guarantee on Coco Nara and will meet or beat the price of any competitor. Additionally, Lets Vape offer all kinds of hookahs and accessories that can be supplemented with your Coco Nara Purchase. Our goal for 2018 is to become known as the best Vape Shop to buy Coco Nara Coconut coals in Kansas City.